- Polly provides a rational and persuasive argument for the cause of Lee's death. This is a huge contribution. - Incorporates tons of interviews from people close to Lee. - Clear understanding of martial arts communities and the tensions that Jeet Kune Do brought to the surface. - Good work on Lee's early life. - Moves away from easy mythologizing by including honest and sometimes unflattering details of Lee's personal life. - Polly may be knowledgable about martial arts, but he's embarrassingly out of his depth when writing about film and television. - Context is often underdeveloped, misplaced, or missing. - Tons of overblown, unconvincing and unsupported causal claims about Lee's impact on the world. - Frankly, Polly is a poor writer. The book has a glib tone, pulp prose, and idiotic frames of reference. - Numerous errors in dates, facts, and details. One that made me laugh was the 1979 Bruce Lee Day in Los Angeles attended by Mayor Tom Brady (as opposed to Tom Bradley). 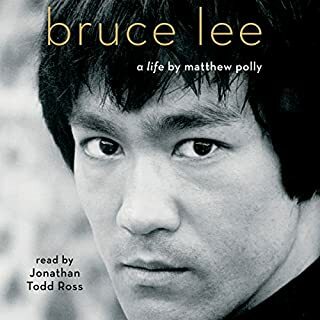 It's faint praise to say that this is the best Bruce Lee biography to date. Bookstores are littered with cheap, inaccurate, and exploitative retellings of Lee's life. Polly's work is a step forward, but this book lacks the seriousness in tone and content that Lee deserves. Hoping there is a film-literate writer out there who can balance the creative, cultural, and historical context to do justice to Lee in a large scale biography. 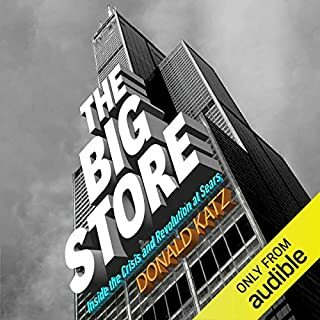 Published in 1987, The Big Store is very much of its time. Focusing on what was then seen as the shocking and sudden downfall of a retail juggernaut, Katz looks at the corporate culture at Sears as a way to explain the company's misfortune. Often interesting, the book nevertheless comes across as shortsighted. It reflects a fixation on executives that overwhelmed 1980s business journalism (think Lee Iacocca and Jack Welch, for example) and undervalues the broader cultural context that inform shifting dynamics between brands and consumers. To listen to a book told from the vantage point of 1987 is frustrating. The book lacks hindsight and fails to account for the continued decline of Sears over the past thirty years. Katz seems to embody the perspective of his interview subjects, getting caught up in the minutiae of power struggles and petty managerial grievances. He fails to understand that the downfall of Sears had little to do with specific executive decisions. Instead, it was a manifestation of much broader shifts in the economy, consumer tastes, demographics, and popular culture. Katz can be forgiven for not seeing all of this in the moment, but as a newly commissioned audiobook it is an odd choice. For today's listener it fails on a number of levels. On one hand it is nice of Katz, the founder and CEO of Audible, to make his work available. At the same time, Katz seems unaware that his writing not only fails to understand the perspective of the general public, but seems to share the Sears executives' contempt for customers. With Audible being so customer friendly, the tone and limitations of this book are surprising. 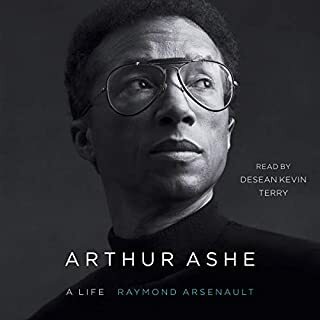 Born in Richmond, Virginia, in 1943, by the age of 11 Arthur Ashe was one of the state's most talented black tennis players. Jim Crow restrictions barred Ashe from competing with whites. Still, in 1960 he won the National Junior Indoor singles title, which led to a tennis scholarship at UCLA. He became the first African American to play for the US Davis Cup team in 1963, and two years later he won the NCAA singles championship. In 1968, he won both the US Amateur title and the first US Open title, rising to a number-one national ranking. This is an unfair review in some respects since I did not finish the book, but I could not listen to the narrator. He performs as if he's narrating an inspirational Nike commercial, not reading a large biography. The thought of subjecting myself to 32 hours of that was too much for me, so I'll be reading this in hard copy form. Eyman's biography is a well-written and thoroughly researched overview of Wayne's (née Morrison) life and career, balancing his personal life, acting craft, and politics. Eyman is invested in parts of Wayne's mythology, but he does not avoid his subject's shortcomings and contradictions. 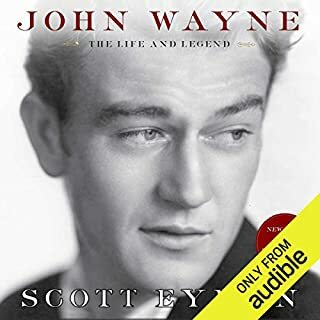 The book is effective in arguing for a serious consideration of Wayne as an actor (as opposed to simply a star) and strives to distance readings of his career from the actor's politics. Eyman's tendency to default to simple evaluations of his films (good or bad as opposed to developed analysis) and broad declarations about meaning (especially regarding masculinity and the American spirit) could be forgiven as an outgrowth of the popular film biography as a genre if it weren't for the author's dismissive comments about film scholarship. There is an unearned arrogance that Eyman sometimes displays, proving in the simplistic perspective of the author the very need for film studies as an academic discipline. In general, though, the book is informative and well organized. Unfortunately, much of Eyman's hard work is undercut by the narration of the audiobook. All narrators are giving a performance, but McLain's voice is clearly and distractingly an affected put-on. More importantly, the narrator is unfamiliar with the subject (film history AND American history) and mangles too many pronunciations to count. On a few occasions he gives different pronunciations of the same name or word from one chapter to the next. More than just names, McLain struggles with pacing and pronouncing basic words (he says wander as wonder, for example). If you're interested in this book do yourself a favor and buy a printed copy. I'm 40 books into my Audible journey and this is by far the worst narration I've come across. A major new history of one of the seminal years in the postwar world, when rebellion and disaffection broke out on an extraordinary scale. The year 1968 saw an extraordinary range of protests across much of the western world. Some of these were genuinely revolutionary - around ten million French workers went on strike and the whole state teetered on the brink of collapse. Others were more easily contained, but had profound longer-term implications - terrorist groups, feminist collectives, gay rights activists could all trace important roots to 1968. This book is less a history of protest movements in the late 1960s than it is a critical reflection of the complications and contradictions of the era. It is an often rewarding book that challenges easy generalizations and empty nostalgia, but it may not be a great starting point for an uninitiated reader. The book has an almost reversed organization that is artful in replicating the confusion of the era, but its structure may be disorienting for a reader wanting a clear, causal, or linear overview of the topic. The introduction begins at a breakneck speed under the assumption that the reader is familiar with the events and figures at the center of protest movements in France and the U.S. 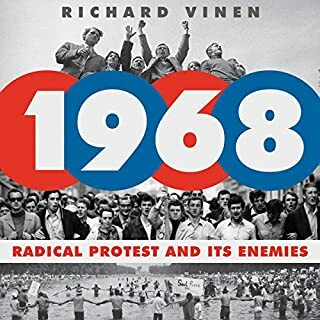 It isn't until the conclusion that Vinen explicitly addresses the reasons for revolutionary protest in the late 1960s. The book focuses on four countries (France, the U.S., West Germany, and Great Britain) and Vinen handles them with mixed results. His work on France is excellent in its detail and analysis, but Vinen is clearly less informed and comfortable with American political history. For the most part the U.S. chapter devolves into simple summary and superficial commentary. The chapters on Germany and Britain are so under developed that they become afterthoughts. Still, when Vinen is at his best he is making points that challenge the reader to reflect and reevaluate. The narrator Tim Gerard Reynolds is generally very good, but there are a few shortcomings to his reading. His performances of American accents are unbearable and there are moments when in delivering an impassioned quote his voice gets so loud that it actually hurt my ears and caused me to pull out my earbuds. 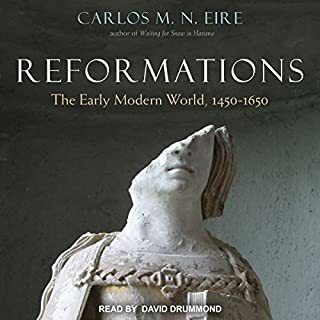 This was an audiobook first for me. He does, however, handle the copious amounts of French words and phrases with ease. Vinen does seem to write under the assumption that the reader has a basic working knowledge of French. On the page it may be easier to slow down to decipher (or even stop and look up) French terms and quotations that are not otherwise provided with English translation, but with an audiobook it would be nearly impossible to keep pace with Vinen's interspersing of French throughout the text without a modest level of language proficiency. Ce n'est pas grave, mais le livre a beaucoup de mots français. Richard White's body of work is impressive for the depth of his research and the urgency of his analysis. 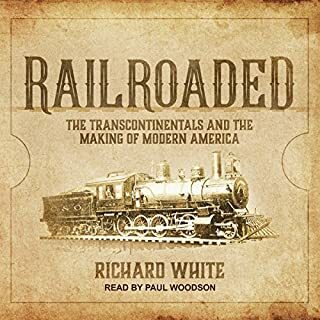 Railroaded is a focused book that compliments his more broadly conceived histories of the American West, yet it poses big questions and touches on issues far beyond the scope of railroads in the late 1800s. White uses the expansion of railroads in the West to examine the corruption, incompetence, shortsightedness, and labor exploitation that have become hallmarks of corporate capitalism. The book counterbalances accepted notions of the ultimate benefits to building the transcontinentals by factoring in the myriad social, economic, and environmental costs. Ultimately, White's argument is not that the railroads shouldn't have been built or wouldn't have been realized without government intervention. He questions the moral and financial impact of how and when they were built. White's writing is direct and engaging. It can also be entertainingly caustic, especially when dealing with the ineptitude of men in power. White seems to find special joy in mocking the namesake of the university where he teaches, using archival research to expose Leland Stanford as an incompetent man who nevertheless stumbled his way into fame, fortune, and power. More than taking aim at historical myths, Railroaded is a contemplative and astute book written by one of our premier historians. Highly recommended. I had high hopes for this book based on the glowing listener reviews and my interest in the topic. At the beginning of the book Meyer shares a personal anecdote to describe his passion for WWI that gave me pause. He says that he was so enraptured by All Quiet on the Western Front that he would read it in the dugout as a boy in the middle of baseball games. This sense of boyhood fascination is evident throughout A World Undone for better and worse. His attention to detail is admirable, but by and large this is a book that tells the story of WWI as if it were a game of Risk or Stratego. 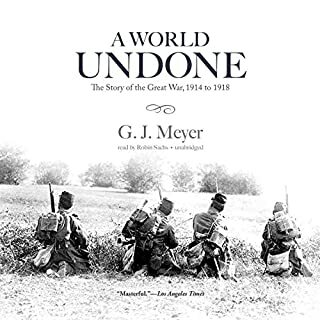 Meyer reduces lived experiences into a series of statistics and fails to seriously contemplate the moral dimensions of the war. Chemical weapons, for example, are glossed over because they did not play a major role in deciding individual battles. For Meyer, the use of phosgene, chlorine, and mustard gas did not move any of the game pieces on his map and therefore only warrant a brief, superficial mention. I hate to be a contrarian, but this book is little more than a dry distillation of tactical details. Don't expect to find anything about the '86 Mets, the '82 Cardinals, or Hernandez's involvement in the Pittsburgh drug trials in this book. Instead, it is crafted around memories of his childhood, time in the minors, and struggles establishing himself in the majors up until and through his 1979 co-MVP season. These recollections are framed by brief stories of his current life in the broadcast booth. 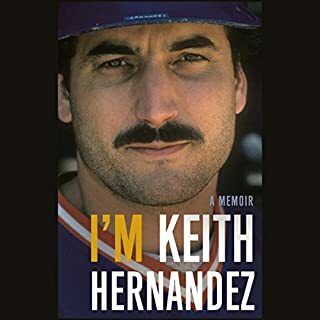 For anyone who watches Mets games on SNY, the book helps to flesh out the stories he often tells about his father and how he learned the fundamentals of the game. It also paints a vivid portrait of the humble and often debauched lives of minor leaguers in the 1970s. Keith is like someone's drunk uncle with his constant complaining about the modern world and wildly problematic comments about women. It can be alternately funny, offensive, informative, and tedious, but the memoir is an unfiltered window into his thought process. It's light and enjoyable, not fully satisfying, and has occasional moments that make you want to smack your head in frustration. It's the audiobook equivalent of watching the Mets, basically. From the days of the Mayflower and the Virginia Company, America has been a place for people to dream, invent, build, tinker, and bet the farm in pursuit of a better life. Americana takes us on a 400-year journey of this spirit of innovation and ambition through a series of Next Big Things - the inventions, techniques, and industries that drove American history forward: from the telegraph, the railroad, guns, radio, and banking, to flight, suburbia, and sneakers, culminating with the Internet and mobile technology at the turn of the 21st century. This book is a major disappointment, both from the stated purpose of the title and Srinivasan's promising introductory comments. It reads like a high school textbook that tells the story of America through widely known historical anecdotes and simplistic summaries. Thoughtful considerations of capitalism are infrequent and underdeveloped. I'm genuinely curious to know who Srinivasan conceives to be the target reader for this book. 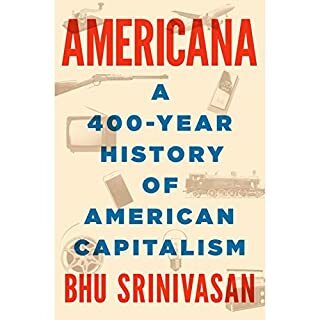 Anyone with a passing knowledge of U.S. history will be bored or possibly insulted by each chapter's basic overview and Srinivasan's glee in passing off well-worn stories as his own unique discoveries. His arguments about the contradictions between the myths of free market economy and the reality of government intervention are so fleeting and simplistic that they are of no use to the reader who shares his perspective. More importantly, his ideas can be easily dismissed by anyone he is trying to convince.